Walmart is expanding grocery delivery this year to more than 800 stores that will reach 40% of US households. Walmart will charge a flat fee of $9.95 for delivery and require a minimum order of $30 to access the service. Walmart is going all-in on grocery delivery one month after Amazon announced it would start offering members of its Prime service free two-hour delivery from Whole Foods, which Amazon acquired last year in a $13.7 billion deal. Walmart is expanding its grocery delivery service across the US this year, the company announced Wednesday. The service, which offers same-day delivery in as little as three hours, will be expanded from six metro areas to more than 100, ultimately reaching more than 40% of US households by the end of the year. 1. Never buy a “single” thing! Yes, you may be the only occupant in your studio apartment but grocery items like yogurt, tissues, paper towels, ice tea, potatoes, and apples can be purchased in bags or multipacks. It almost never pays to buy singles, which can boost your cost by 40% or more. Put those dollars towards a happy hour! 2. Make your own snacks. The price premium can be huge on snack-sized items. Instead, buy the largest size available (which is typically the best deal—always check unit prices and search for coupons and deals on Flipp!) and make your own snack sizes. For example, ounce per ounce, a regular container of Jif peanut butter costs 40% less than Jif To Go singles. Make your own singles with tiny plastic Tupperware. You can use the same method with yogurt, cottage cheese, and fruit cups. And use plastic baggies for chips, pretzels, candy, and other snacks that are often sold in single-serve packaging at a big premium. 3. Don’t ignore the clearance racks. Yes, even in supermarkets! They might look like a jumble of stuff you don’t need. But stores are always clearing out inventory to make room for new products and the markdowns can be 50% or more. Just be sure to check expiration dates and search for available coupons to save even more money. If you don’t use the weekly local ads to plan your shopping trip, you’re shopping blind! The circulars can help you decide where to shop and what to buy—saving you hundreds of dollars a year. Make it easy by downloading a shopping app like Flipp, which puts all the weekly local ads at your fingertips so you can browse them all in one place. Even better, use Flipp’s Shopping List feature, which automatically shows you all the local deals for the items on your list. Meal planning itself can save you 50% on your weekly food bill. Not only does it help you save on your weekly food bills, it also keeps you from eating out as much, saving you even more money! Simply plan your meals for the week around the "loss leaders" which are the items on the front and back pages of your weekly circular. Eat what meat is on sale and produce that is in season, then plan what you are going to eat on each night. Pack leftovers for lunches and you have even more savings! 6. Ask for a rain check. Always ask for a rain check if an item is on sale and out of stock. A rain check entitles you to the sale price when the item is back in stock. Most rain checks do come with time limits so read the fine print. If you had intended to buy multiple of the item, make sure that is noted on the rain check. 7. Don’t go coupon crazy. Coupons can save you big bucks and you shouldn’t shop without them—if you use them for stuff you actually need. The problem is that while many of us make a list and try to stick to it, we also tend to indulge in “off-list purchases” triggered by coupons and other promotions. A study by NPD showed that 80% of unplanned supermarket purchases are due to promotions. One trick is to make a game out of limiting impulse spending. For example, you can set aside a “mad money budget” of, say, $5 a week for those sale items you just can’t resist. 8. Skip the prepackaged foods. Sure a prepackaged dinner saves you time when you’re exhausted and those pre-made treats make packing lunches easier, but prepackaged foods cost more money than their homemade counterparts. If you want to save money, make muffins from scratch or cook extra at dinner and freeze the leftovers. Skip the prepackaged items to save your budget and your waistline, too. 9. Go to the Grocery store ONE time per week. If you haven’t been planning your meals then chances are you have been making extra trips to the grocery store to get items you need for dinner. Those trips for “just a couple of things” always add up to more than you planned. They also add up to extra money you hadn’t planned to spend. 10. Use your store loyalty programs. Gather information about a store’s loyalty programs to see what kind of savings you might be able to unlock. Some stores will require a loyalty card in order to receive sale prices. Many also offer incentive programs like gas savings when you spend a certain amount on groceries. You want to be familiar with the perks of your grocery store loyalty program so you can maximize these savings. There may also be limited time promotions. The retailer plans to use its own personal shoppers to pick and pack delivery orders in more than 800 stores. It will partner with Uber and other crowdsourced delivery companies to transport the groceries to customers' doorsteps. 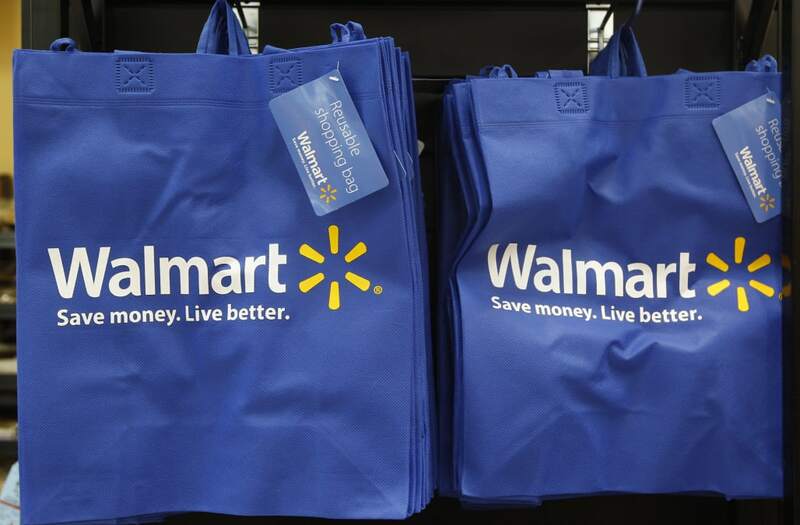 "We're moving fast to save our customers time," Tom Ward, vice president of digital operations for Walmart, said on a call with reporters on Tuesday. He said Walmart will be "aggressive" with the rollout and plans to eventually make the service available to all of its US shoppers. Target and Kroger have also been expanding their grocery delivery services. Target announced earlier this year that it plans to offer same-day delivery of groceries from half of its 1,800 stores using Shipt, a delivery startup it recently acquired. Meanwhile, Kroger said Monday that it's expanding its delivery services to 500 additional stores — from the nearly 900 stores where it's currently offered — through its partnership with Instacart. Ward declined to directly address rival delivery services. But he made a veiled reference to Instacart, which sometimes charges customers higher prices on goods than the retailers that sell them. "Unlike other services, customers will find the same everyday low prices" on groceries through Walmart's website and app, he said.